Want to eat better, cook smarter, and waste less? 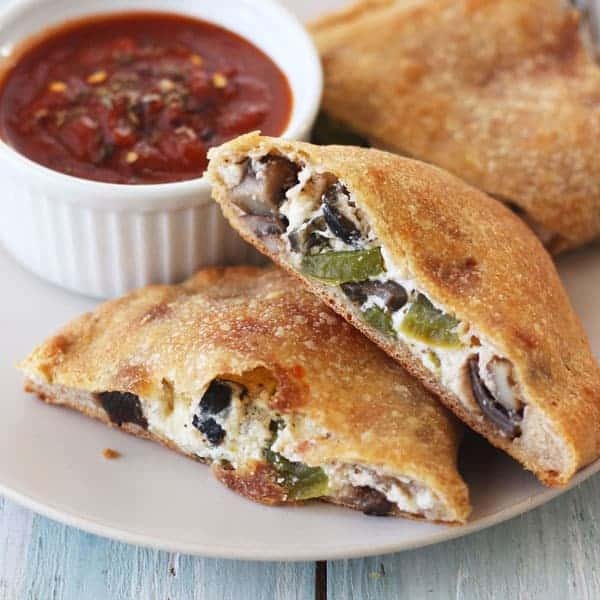 At Toaster Oven Love our recipes and guides are here to help make cooking for yourself the easiest thing you do all day. Imagine having the confidence and skills to turn the ingredients in your fridge into nourishing meals. Meals you can cook better and faster with smart kitchen tools (like your toaster oven) and without a bunch of waste. What if it was easy to make delicious recipes that were just your size? When you join the Toaster Oven Love community, you’ll start eating better, cooking smarter, and learn how to turn simple fresh ingredients into appetizing meatless meals for two. When you sign up to receive our free monthly newsletter, you’ll get new content delivered by email PLUS our Cooking For Two Starter Kit that includes 3 free digital books. 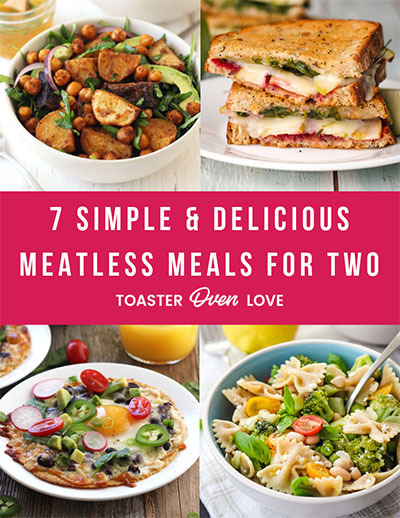 Meatless Meals For Two – 7 simple meatless dinner recipes that are flavorful, satisfying, and perfect for any day of the week. Make More Than Toast – Your ultimate guide to cooking real food with a toaster oven. Resize It! 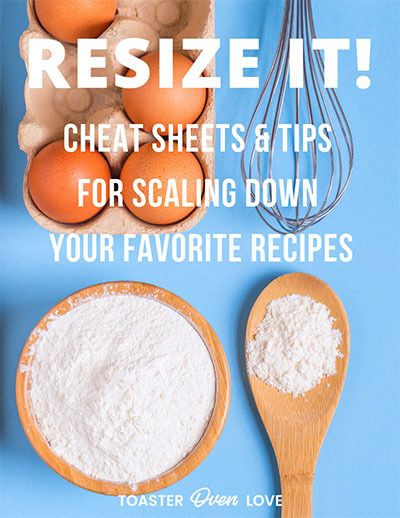 – Tips and cheat sheets to help adventurous cooks scale down their favorite large-serving recipes. Sign up to receive new recipes and tips, plus a FREE Cooking For Two Starter Kit! Now that you’re all signed up, why don’t you take a look around? 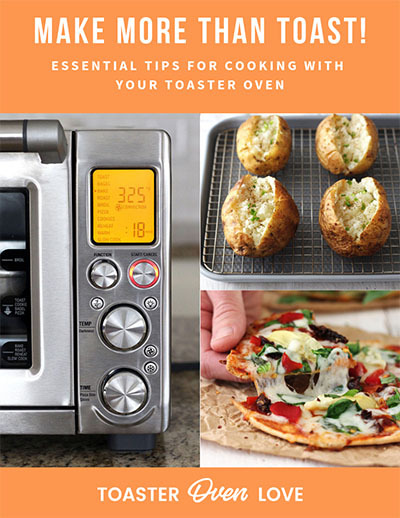 On Toaster Oven Love you’ll find lots of small batch recipes, helpful tips, cooking tutorials, and step-by-step guides. Below are some of our most popular to help you get started eating better, cooking smarter, and having fun in the kitchen!